These lemon blueberry sweet rolls are loaded with juicy blueberries and drizzled with an amazing lemon cream cheese glaze. 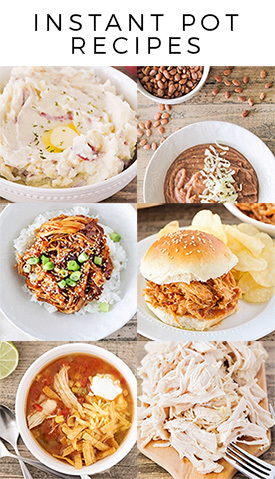 So delicious and easy to make too! When it comes to sweet rolls, I have to admit that cinnamon rolls are at the bottom of my list. I know they are everyone's beloved treat, but they just don't do it for me. They're always either too dry or too gooey, with too little or too much filling. At best, I can only eat maybe half a cinnamon roll before I'm ready to throw up. When it comes to fruit flavored sweet rolls, though, I am all in! I don't even know what makes the difference, but hand me an orange roll or a raspberry roll, and I am in heaven. 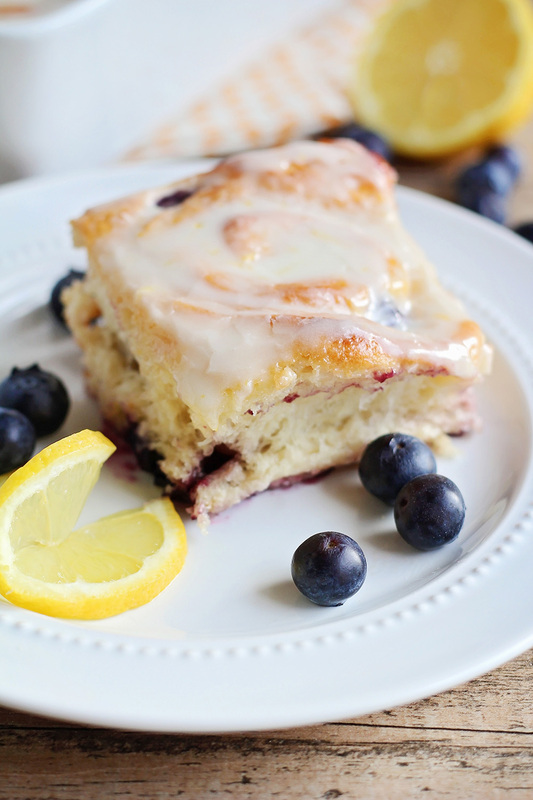 These lemon blueberry sweet rolls are some of my favorites! 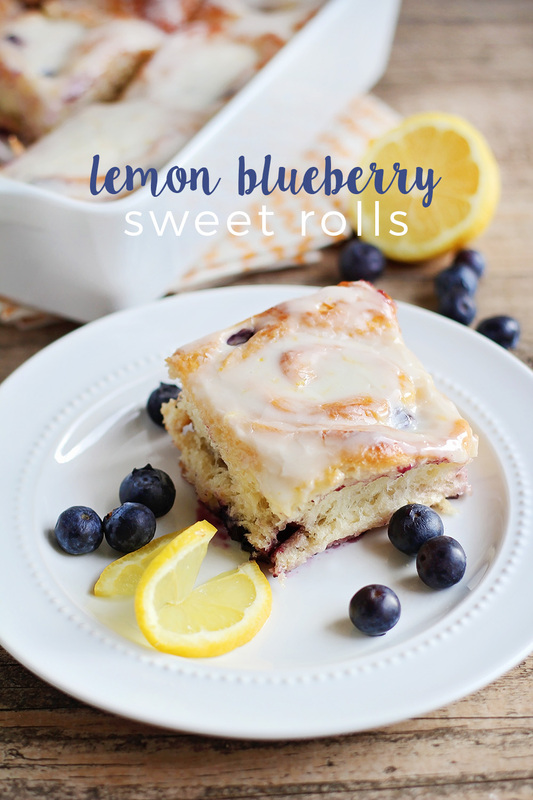 There’s just something magical about the combination of blueberry and lemon… I love how the flavors play off each other, and they are particularly delicious in these beautiful rolls. The rolls themselves are light, soft, and tender, and I love the juicy blueberries and sweet glaze on top. These sweet rolls are perfect for breakfast or dessert (or both!) and are pretty straightforward and simple to make. 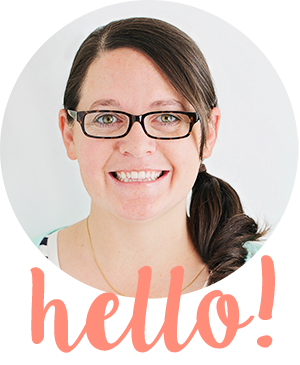 They were a huge hit with my whole family and my kids basically just inhaled them. I hope you’ll enjoy them as much as we did! To make the rolls, in a large bowl or the bowl of a stand mixer, dissolve the dry milk in the warm water. Sprinkle the yeast and a pinch of sugar over the top, and stir to combine. Let sit 5-10 minutes, or until the yeast is bubbling. Add the sugar, salt, butter, egg, and 1 cup of flour, and mix to combine. Add another cup of flour and mix until combined. Add the remaining flour, 1/4 cup at a time, and knead until a soft and smooth dough forms. The dough should be soft and slightly tacky. Place the dough in a lightly oiled bowl and let rise until doubled, about 1 hour. When the dough has nearly finished rising, toss the blueberries with the lemon zest, sugar, and corn starch. Refrigerate until ready to use. Line a 9 x 13 pan with parchment and spray with cooking spray. When the dough has risen, roll it out into a 12 x 18 rectangle. Sprinkle the blueberry mixture over the dough and roll the dough up tightly into a log. Slice into 12 equal sized pieces and arrange in the prepared baking dish. Let rise for one hour, or until doubled. When the dough is nearly done rising, preheat the oven to 375. Bake 18-20 minutes, or until golden on top. Remove from oven and let cool slightly. While the rolls are cooling, beat together the cream cheese and butter until light and fluffy. Add the powdered sugar, vanilla, lemon zest, and lemon juice, and beat until smooth. Spread the glaze over the warm rolls and enjoy!